George Ogulu has been on the run for 53 years. When he discovers he’s dying of a rare alien disease, he must decide what to do with a secret he can neither share freely nor allow to die with him. Accompanied by his dog and pet bird, George crisscrosses the galaxy in search of someone who can handle the truth. The fate of innumerable worlds hangs in the balance. 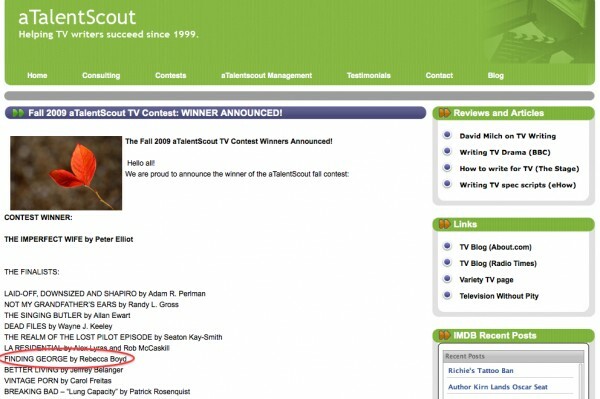 Finding George was recently selected as a finalist in the international ATalentScout TV Writing Contest. The contest was capped at 1,000 entries, and Finding George placed within the top 18. 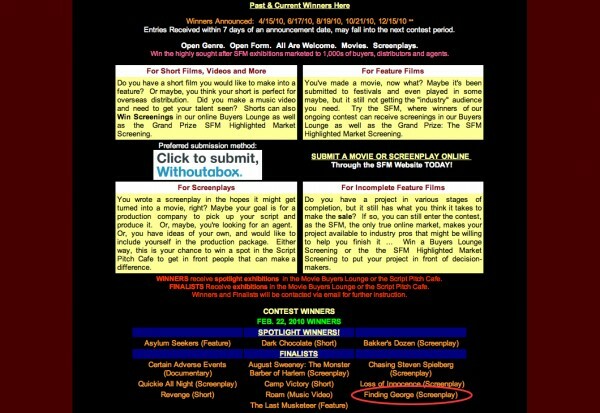 Finding George has now made the finals in the SoCal Film Market Contest, too! Finding George has now been reviewed by the WILDsound Feedback Festival.